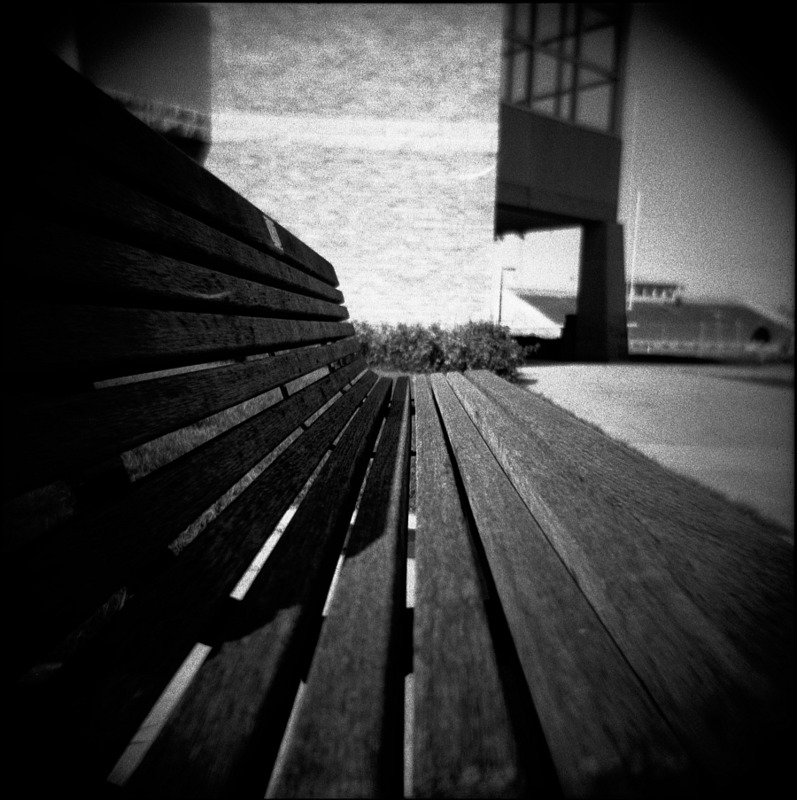 I shot a roll on my Holga yesterday around the campus of Gustavus Adolphus College. Probably because I knew a little bit more of what I was doing, they seemed to have turned out a little bit better than the last roll. I guess experience is priceless. This is a bench in front of Olin Hall of Science (the building where I work). And, behind it is Hollingsworth Field where the football is played. I updated my Pixelpost Comments Pepper for the new, popular, super-attractive web statistics program Mint to version 0.5. Most of the updates are pretty basic, tiny nuisance things. The change log is available on the other side of the link. Today’s photo of the day (linked below) is probably one of the first images that really got me interested and excited about photoblogging. I know, I know… I linked to c h r o m a s i a yesterday and djn probably doesn’t really need any more help generating traffic, but I felt that this photo was a good connection.